Now celebrating its 40th year, the iconic White Tower Restaurant has been providing diners with fabulous food and service since 1979. Situated in the Casino Building at Blackpool Pleasure Beach, we are offering a dining delight with a special Father’s Day menu on Sunday 16th June. With fresh Lancashire produce on offer over a wide variety of courses, the restaurant will cater for even the most discerning of tastes. Head chef Anthony Malone has created an innovative and modern menu which combines local produce with a classical twist. His experience in cooking with some of the greats of the gastronomic world means he can produce fine dining with flavours which are both local and have an essence of many different variations of cooking. 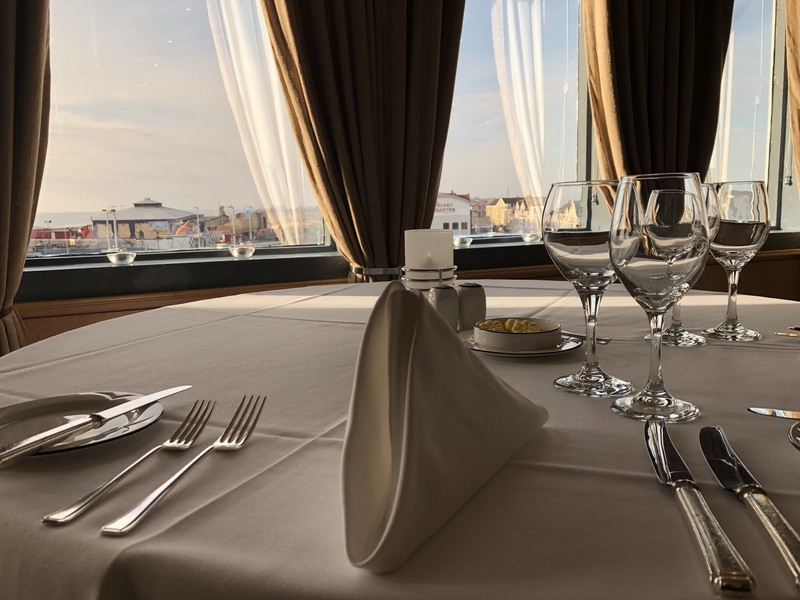 Combined with mesmerising views of one of the most iconic seaside Promenades in the UK, dining at the White Tower will be a sensation on the taste buds in relaxing and sumptuous surroundings. The White Tower really is the perfect place to take your Dad this Father’s Day! All reservations to be paid in full prior to your visit.